There is a certain bond that brings every couple together. 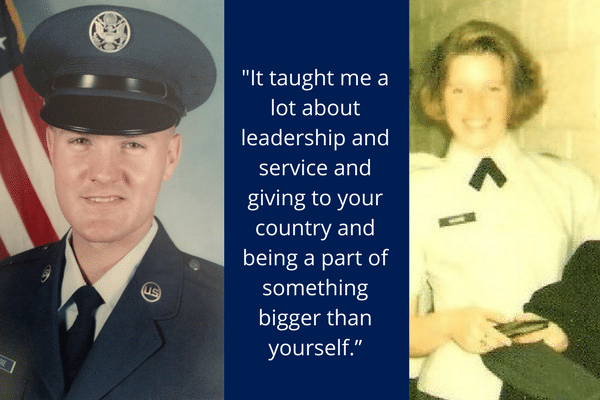 For the Lillibridge family in Florida, that bond has been service to country and community. 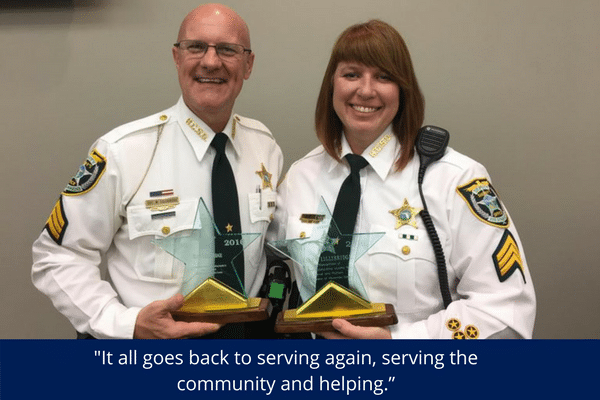 Over the past 21 years, commitment to service has brought Matt and Cinda Lillibridge together, it has brought them accolades and awards in the law enforcement community, and now their service has helped them achieve the home of their dreams. Now that Cinda and Matt have their dream home, they have already started envisioning the big family get-togethers for the holidays. With their children living thousands of miles away, their new home will provide enough space for their children and grandchildren to stay with them when they travel home for the holidays. Their new neighborhood hosts a school nearby, which is extremely convenient for the foreign exchange students they host.”It checks all the boxes for me. Its an absolutely beautiful home”, said Cinda. 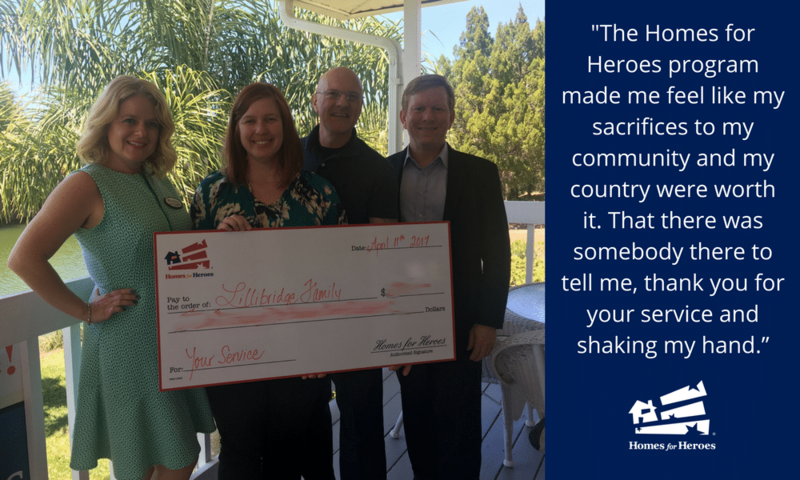 The commitment of our Homes for Heroes real estate specialists and lenders are really what deliver the exceptional experience for our heroes. Cinda was quick to recognize this with Matt Bouchard and Amy Kwiatkowski. ”I didn’t realize at first that was where the money (Hero Rewards) was coming from what we got back was though their commissions, and that just really means a lot, that people are willing to give back to you. That’s not something that we normally get. 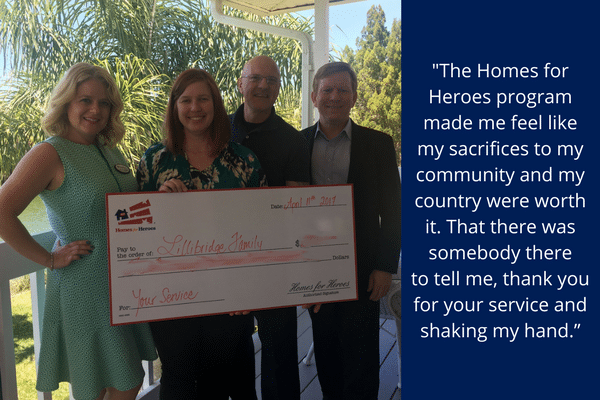 The Homes for Heroes program made me feel like my sacrifices to my community and my country were worth it. That there was somebody there, to tell me, thank you for your service and shaking my hand”, said Cinda. It is an honor to serve you Cinda and Matt. Your dedicated service to our country and it’s communities is appreciated. Thank you! For more information regarding the Homes for Heroes program and Hero Rewards® please visit, HomesForHeroes.com.